The holidays are the best time to make all those treats we’ve been saving up all year! As kids, my sister and I always looked forward to the special cookies and desserts my mom only made at Christmas time and one of my favorites was (and is!) fudge! 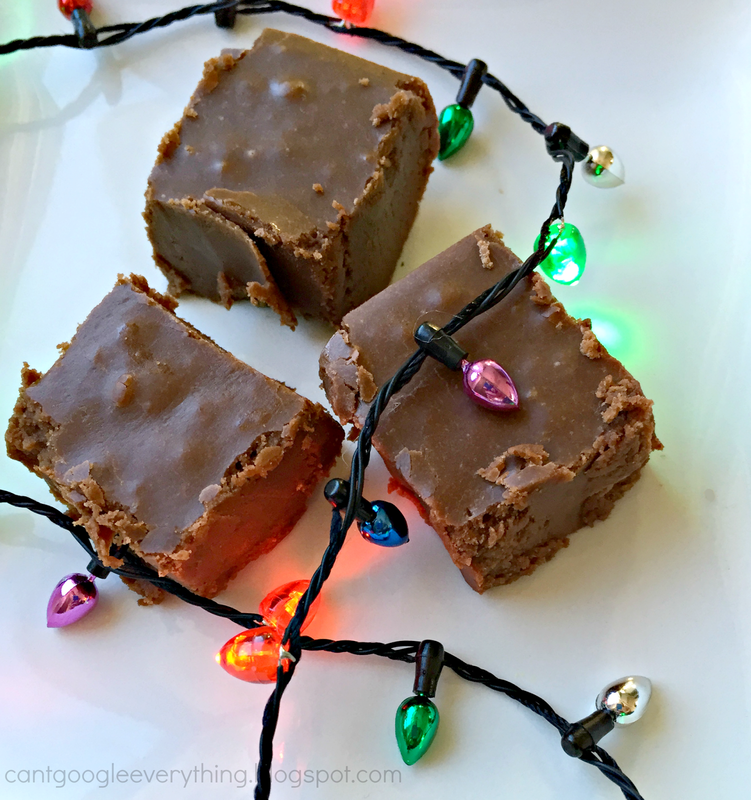 I made this delicious fudge this week and I am so excited to share this recipe with you guys! I just love how basic and easy this recipe is, but yet it’s seriously so delicious! I try to make it a few times during December so I can be sure to have some extra on hand for visitors and for our holiday party! You can also cut it up to give to neighbors as a yummy holiday gift! Add evaporated milk, sugar and salt to a saucepan. Heat over low heat until boiling, stirring often. Cook about 5 minutes, stirring all the time so milk and sugar don’t burn. Remove from heat and add everything else. Stir with a wooden spoon until marshmallows and chocolate are fully melted. Pour into a buttered pan (I used 8 inch square pan). Cool in fridge and then cut up! Tell me, what’s your favorite holiday treat? Oh yum, I looooove fudge! We almost have the same recipe, but I make mine with fluff. 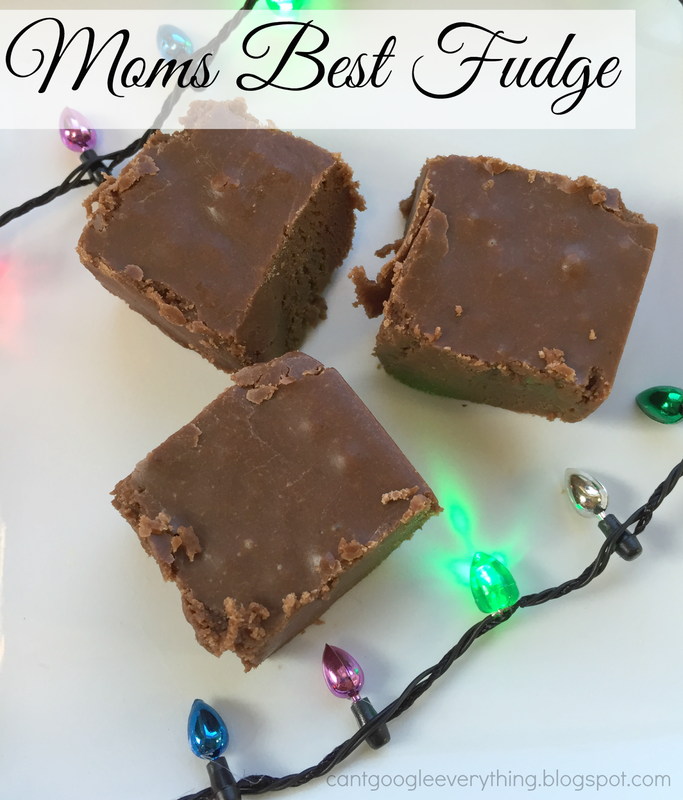 Fudge is definitely one of my favorite Christmas treats! Oh I am a big fan of hot chocolate – for all winter long, but especially pre-Christmas events like caroling, shopping, and wrapping. We just decided to host a hot chocolate bar for Christmas Eve service at church too! These look yummy though! Delicious! Love the little lights too! Yummy! Looks so good and easy to make! Oh my gosh! That looks SO good! Pinning this to make. A sweet old fashioned favorite- they look great! I love the plain sugar Christmas Cookies, cut out in shapes, with red or green sprinkles! I never knew making fudge was so easy! That looks amazing! I need to make some fudge pronto!